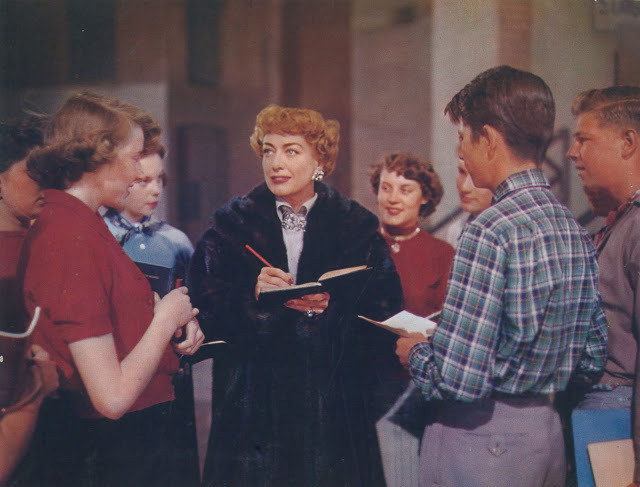 Hard-as-nails Broadway diva Jenny Stewart (Joan Crawford) is busy working on a hot new property that she’s sure will fail if she doesn’t take complete control. Stewart, inexplicably beloved by teens, makes life miserable for everyone working on the play, including her pianist who quits, citing an inability to afford the psychotherapy needed to put up with her. Stage manager Joe (Harry Morgan) hires accompanist Tye Graham (Michael Wilding), a talented pianist blinded in the war. After a rocky start, Jenny realizes Tye is in love with her, though she’s ambivalent about him, and who wouldn’t be when you’ve got a boytoy (Gig Young) and dozens of men at your beck and call. Tye also has the lovely Martha (Dorothy Patrick) as a sort-of girlfriend, who is devoted to him, though he only loves Jenny. 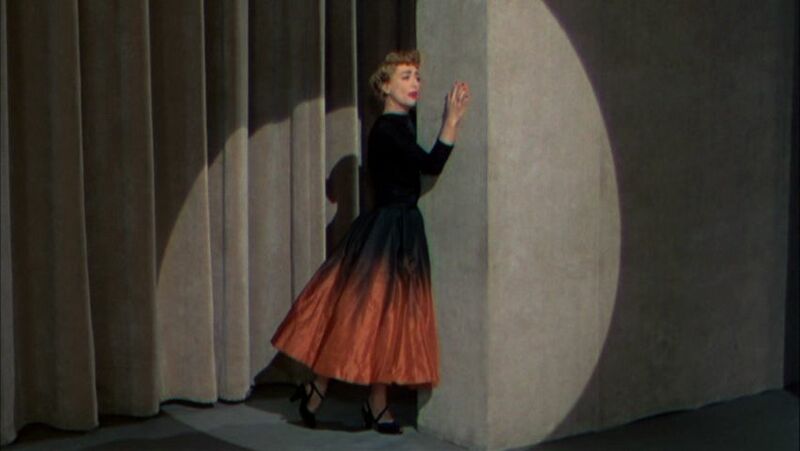 Torch Song was ostensibly Crawford’s big comeback to MGM, and was surprisingly considered an overall comeback of sorts, though she’d been nominated for an Oscar just a year prior in RKO’s well-received Sudden Fear. 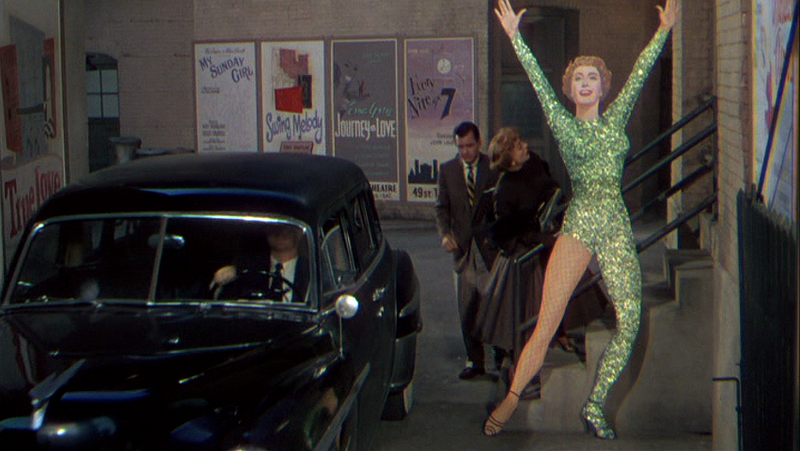 She really didn’t need a comeback, but she thought she did, and MGM wanted to capitalize on the return of their former studio queen, thus everyone went all-out for this Technicolor extravaganza that now, over six decades after its release, still has the power to stun with its campy excess. Jenny Stewart returning from a party with one earring stuck in her hair. No one ever explains this. If you’ve seen the terrific spoof Die, Mommie, Die! (2003), you’ve seen Charles Busch channel Stanwyck, Davis and Crawford all in a single sentence. What’s surprising and maybe even a little upsetting about Joan in Torch Song is that she’s doing the exact same thing, to a much lesser degree, but not unconsciously. Close your eyes when she’s chewing out the poor stage crew or when she’s lecturing her boytoy Cliff about how she has to do every last thing, from arrangements to designing clothes to props, or else the show won’t work. You’ll hear Barbara Stanwyck from Clash by Night (1952) or Bette Davis from All About Eve (1950) clear as a bell; there’s no mistaking what’s going on. She’s imitating them for lord knows what reason. 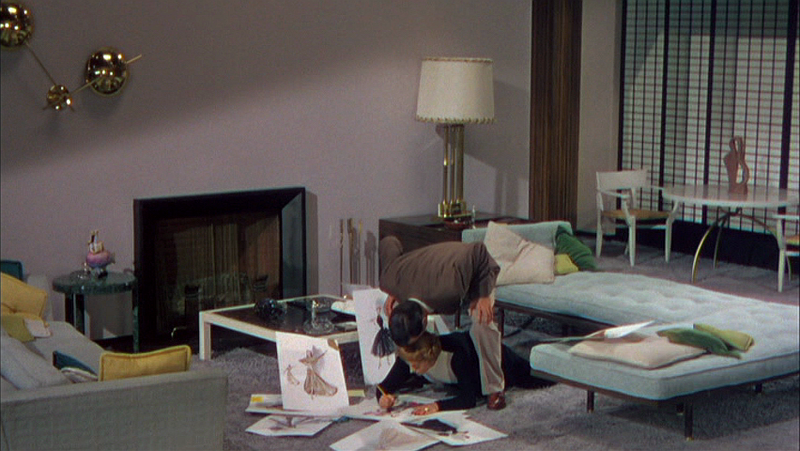 Joan, the eternal female, designing costumes in her fabulously appointed apartment as her arm candy bends over and kisses her on the head. 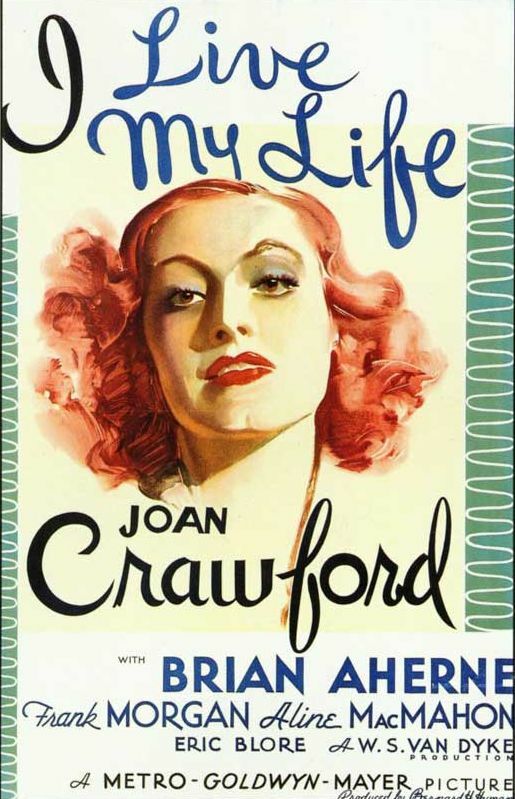 In fact, Joan is even billed as “the eternal female” in advertising at the time, something that, along with the poster art using old photos of her and invoking her 1934 classic I Live My Life poster, plus the rather excitable ad copy reminding us that this was Crawford’s comeback to MGM, seemed a desperate ploy to fool audiences into thinking that this was the mid-1930s all over again. 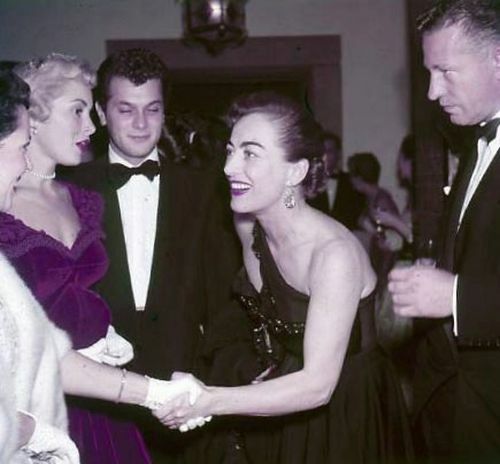 Image courtesy Joan Crawford: The Best of Everything. Image courtesy Greenbriar Picture Show. She looks fantastic. She, or someone at the studio, apparently didn’t agree — and to be honest, one “A.W.” of The New York Times declared she never looked lovelier than in Torch Song — so Joan ended up in what was basically female drag, thus we now have horrible yet hilarious fanart like the Joan Crawford Shame Collection by Matt Figures. The infamous blackface number. As you can tell, everyone is in blackface, not just Jenny Stewart. Also, all the men’s belts are ties. Charming. If you had to pick one best thing about this camp classic — as if it’s even possible to do so, but let’s pretend — it’s that Joan’s Jenny Stewart is a stone cold monster. She’s mean to everyone, all the time, without exception, but without the kind of talent that would usually excuse such behavior. 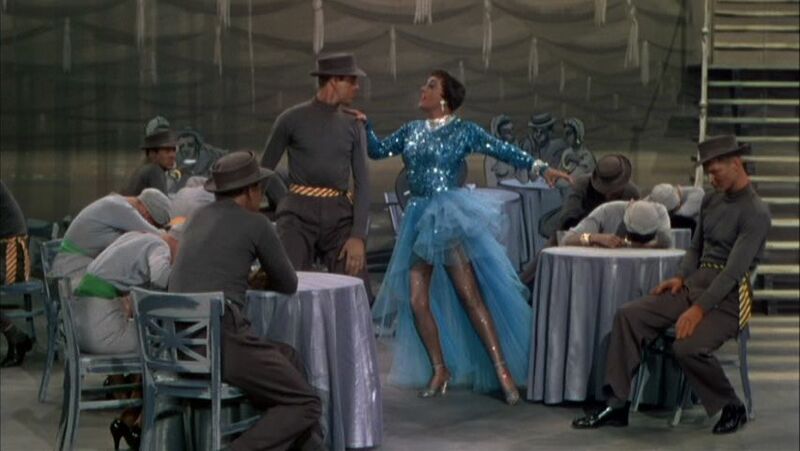 Crawford was a decent dancer when younger, but in chorus lines and popular dance contests. She can pose beautifully and has a fantastic figure, but she was never truly trained in dance, and it shows. Her singing, as anyone who saw The Hollywood Revue of 1929 can attest, was not good, and Crawford is just passable here. 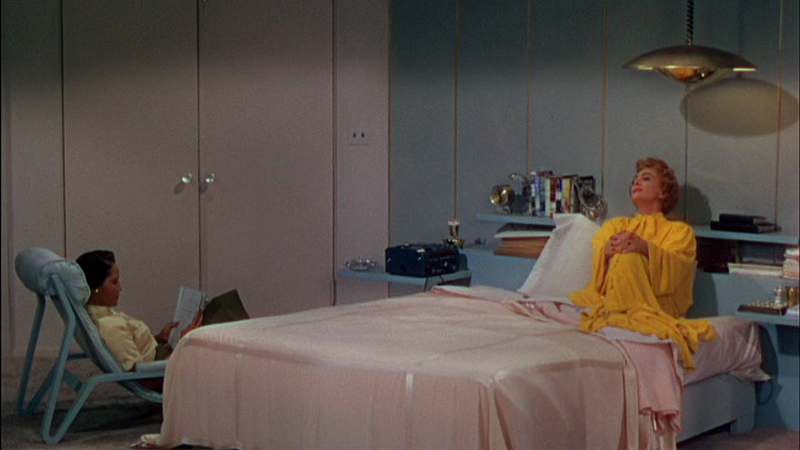 Scenes like the above add to the legend of Joan’s ego. Her assistant Anne (character great Maidie Norman) comes in and moves the chair specifically to that mark, so she’s all but hidden from view even though she’s in the frame. Who thinks this is a good idea? It’s so awkwardly framed you have to wonder how this even happened. Stewart is complainey and awful and insists that, if the show doesn’t do absolutely everything she says at all times, she will just not show up, forcing the show to close and putting everyone out of work. Her accompanist drinks heavily to put up with her and then just disappears, unable to face her for one more minute. At one point, she pitches such a fit she scares Tye’s seeing eye dog. Let me repeat that: she scares his seeing eye dog. Who writes a character like this for a standard movie musical? This is horrifying. This is Joel and Ethan Coen stuff right here. Every time I see this 12-foot-tall glitter-covered cut-out of Joan I wonder where it is now. Who got it? What did they do with it? And how did they get it home? Jenny Stewart is so insecure that she throws a party for herself and invites only men. Things chug along about as you expect in a musical romance, though with more hostility than usual, until a finale where Jenny chases Martha out of Tye’s home; Martha leaves so quickly you suspect she was punched, or at least threatened. Then Tye and Jenny declare their affection for each other, along with making an implication about the seeing eye dog that I’m frankly just not comfortable with. 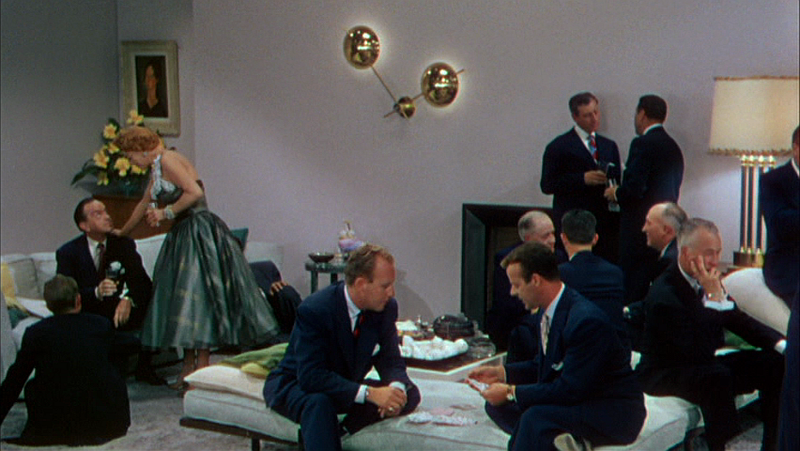 Joan’s outfits are undeniably fantastic in this film. You can also see how blurry the print is at times. This is a film that may be due for a full restoration. 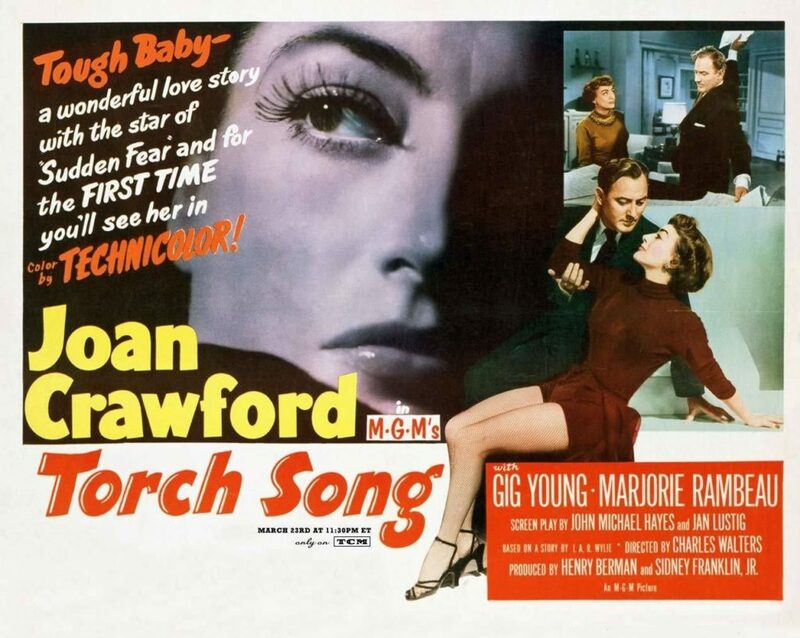 Warner Archive has re-released Torch Song on a MOD DVD which is the same print as the now out-of-print version. 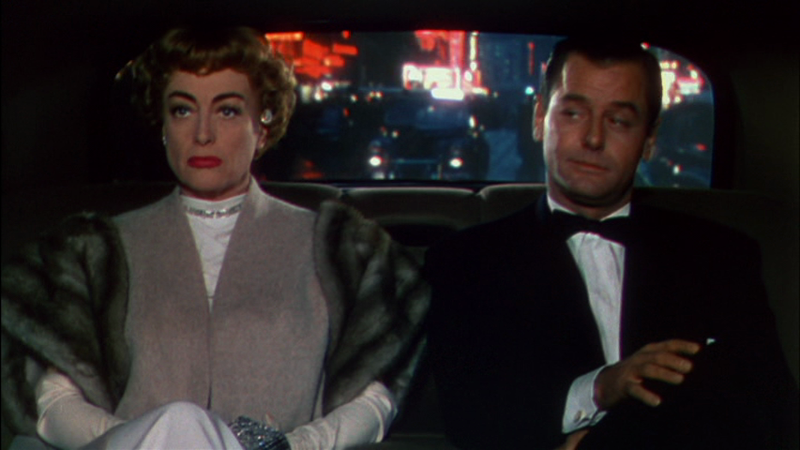 Included are several special features, including the mid-2000s featurette “Tough Baby: Torch Song” (from the series of DVD extras that Warners made roughly a decade ago, featuring Jeanine Basinger, Molly Haskell and others), plus the “TV of Tomorrow” cartoon, a Jimmy Fund PSA, several minutes of a Joan Crawford recording session (audio only), and the trailer. Thanks to the SBBN readers for their patience in the last couple of weeks. We’ve had some database errors that seem to be fixed now, but comments will be off for the duration until a new commenting system can be found.